The 2017 Grammy Awards are right around the corner and, to the surprise of no one, Adele and Beyonce have swept up the most nominations. Adele is no stranger to the gold gramophone celebration. Since the beginning, the singer has made an imprint on the show, whether that was through performances or by winning ALL of the trophies. There was her incredible performance of “Rolling In The Deep” in 2012, and also the night she went six for six, taking home Grammys in every category she was nominated. How many will she win in 2017? We’ll just have to wait and see. 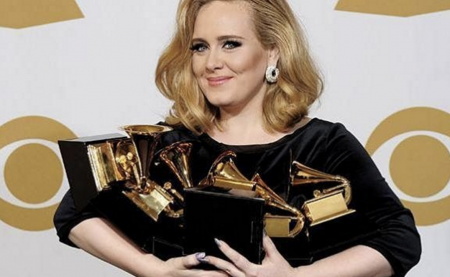 Until then, take a look back at Adele’s most memorable Grammy performances below.